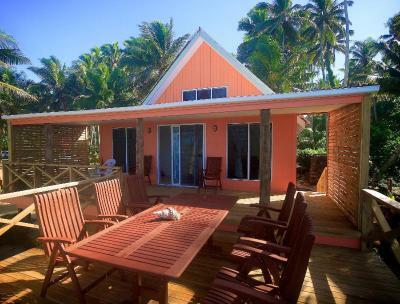 Lock in a great price for Sa'Moana Beach Bungalows – rated 8.7 by recent guests! 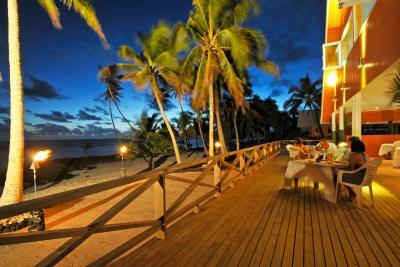 Fantastic for couples looking for a romantic stay all the way through to large families. 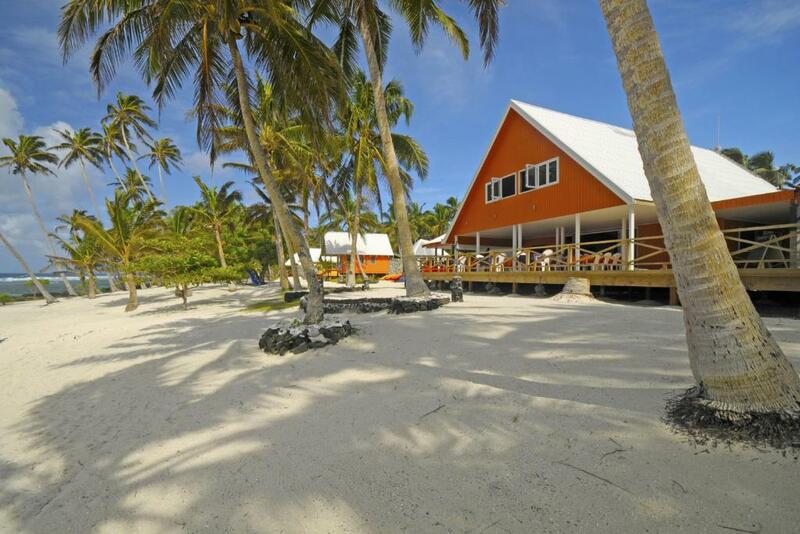 Fantastic remote location with private beaches and amazing landscape. Friendly, happy staff. Best food in Samoa was had here. Great facilities/equipment to use at no extra cost. Beautiful location with stunning views and twenty steps away from the ocean. The staff are amazing, friendly and knowledgeable and willing to help out any way they can. 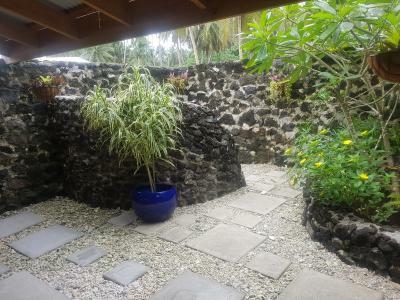 The accommodation itself is fantastic- comfortable beds and nice toilet and a great lava rock outdoor, private shower. The food available was delicious and we would love to stay here again. Beds were comfortable and staff hospitality excellent . What a gentle and friendly staff. Great holiday with our family. Snorkeling right on the beach, relaxed and genuine atmosphere. 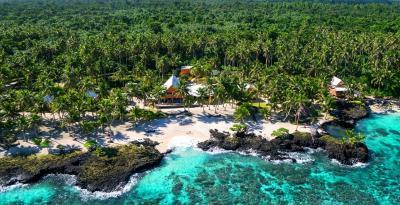 Highly recommended for people who want to experience the true Samoan vibe. 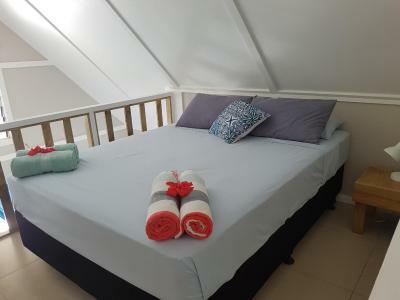 Amazing setting with ocean views, comfortable sun beds, beautiful infinity pool, and lovely, spacious room. We loved the outside bathroom and ocean view from the room. They also give out free drinking water whenever you need it which was a huge blessing. We loved our lazy days in the grounds reading and snoozing. The photos don’t do justice to how lovely the surroundings are. The staff were very friendly and the food was great. Everything was kept very clean and tidy. We loved the outdoor bathroom and ofcourse the view. The breakfast was fine, nice to see vegemite was available although I brought my own. Meals were lovely and well presented - thank you Molemole!! 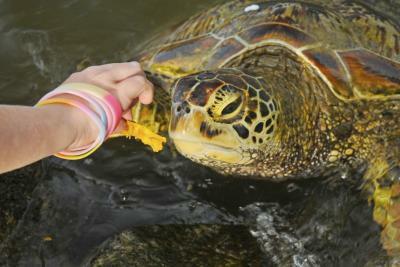 The staff were exceptional, very helpful and friendly and only too willing to help. The whole place was magical and brilliant to suit our needs after a big week of our family reunion. I would definitely be coming back! The facilities are all includes in the rate. So you dont have to pay extra for them. The staff is very helpful and friendly. 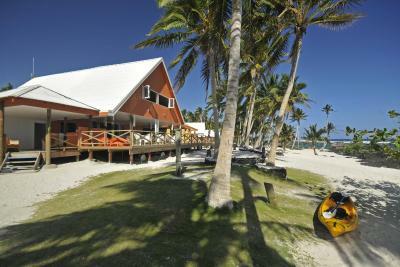 From the hotel you can get everything that you need to know the island as Cars, Taxi, Tours, etc.. 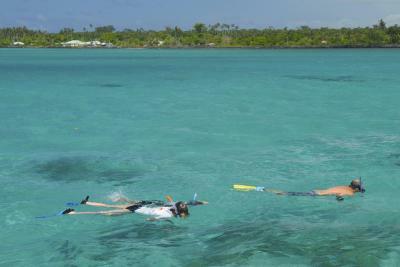 The beach is good to do snorkelling. Truly a paradise! 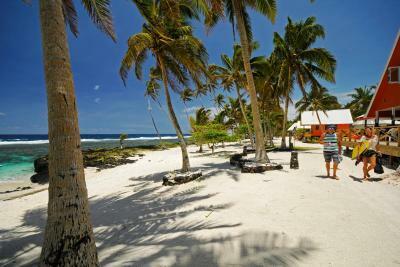 Nice, well maintained and spacious bungalows directly at the beach, good restaurant and very nice staff. Management very professional. 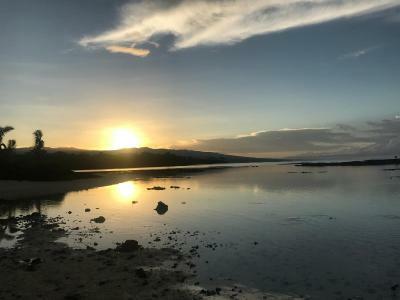 It is true that the road toward the place is in a bad condition, but it is also a bit adventurous and gives you a real island feeling, if I wanted to see a perfect highway I could have stayed at home. Plus it’s a nice 20 min drive where the locals wave at you and the kids come to bring you fruits, little pigs and lots of chickens walking with you, had fun! Lovely location, pool was amazing! Staff were so helpful and friendly! (Patrica and Vi especially) I like that there wasn't too many people at the resort. 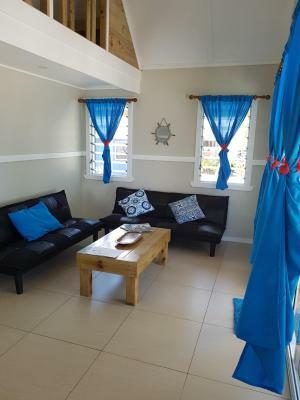 Sa'Moana Beach Bungalows This rating is a reflection of how the property compares to the industry standard when it comes to price, facilities and services available. It's based on a self-evaluation by the property. Use this rating to help choose your stay! 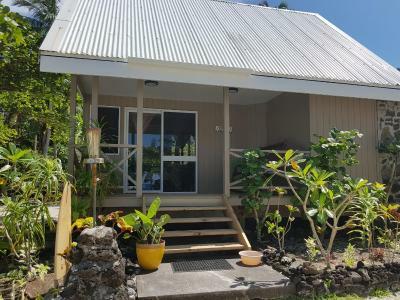 Set on an beautiful private white sand beach, Sa'Moana Beach Bungalows features an outdoor natural lava rock infinity swimming pool, overlooking the South Pacific Ocean. 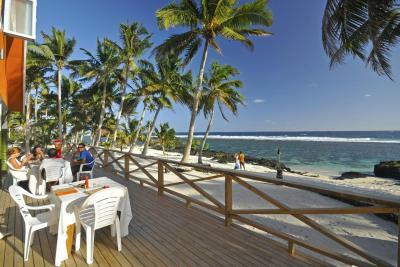 It offers free tropical continental breakfast daily. Guests can enjoy a fusion of local and international dishes from the onsite restaurant. 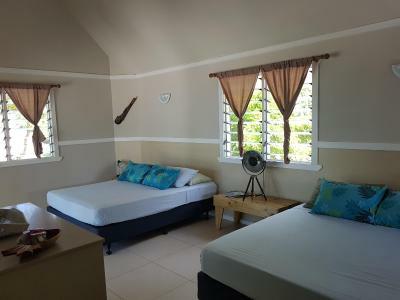 The self-contained bungalows are located on the beachfront and offer a terrace with sea views, where you may enjoy the sunset. 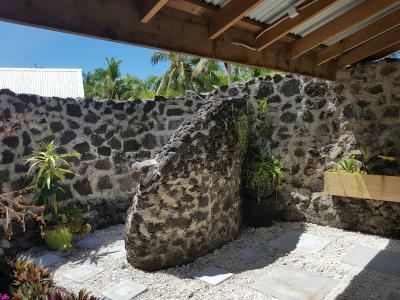 They feature a lava rock outdoor bathroom with shower. There is a refrigerator and tea and coffee making facilities with cold filtered water and milk provided and replenished daily. Towels and linen are provided. 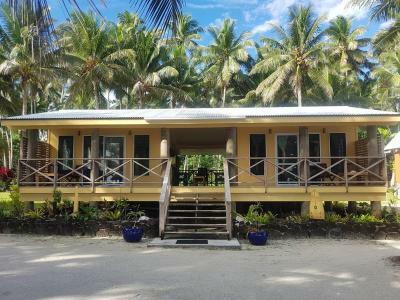 The onsite restaurant at Sa'Moana Beach Bungalows has a main focus on freshly caught fish prepared by trained local Samoan Chefs. 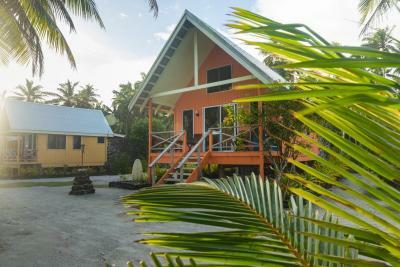 All the staff at Sa'Moana Beach Bungalows are from the local village and are available to share their local knowledge, culture and traditions with the guests. Other facilities offered to guests include a billiards table in the bar as well as a small library and board games. A small fitness center is also available for guests use. 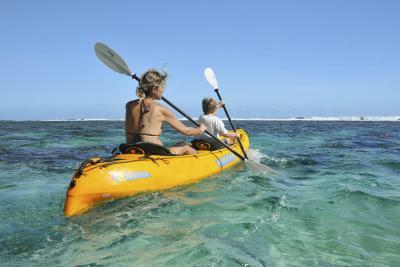 Guests can enjoy snorkeling and kayaking at the beach. 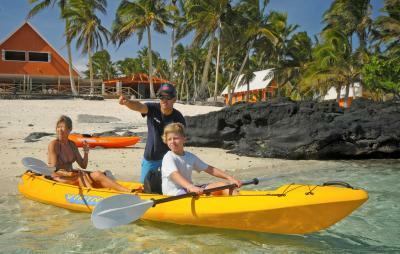 The hotel staff can arrange a wide variety of tours with local guides. 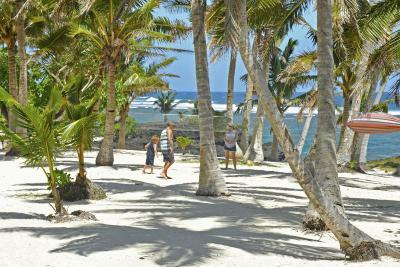 Sa'Moana Beach Bungalows is 45 minutes' drive from Faleolo Airport. A 4W drive car is recommended and the road to the resort is 3.7 mi. Airport transfers are available, however taxis are also available. 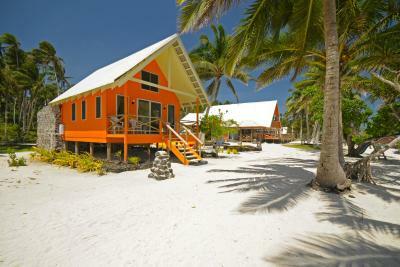 When would you like to stay at Sa'Moana Beach Bungalows? This bungalow features a terrace with sea views. 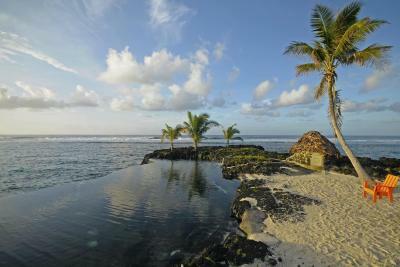 It offers an outdoor lava rock bathroom with a shower. There is a refrigerator and tea and coffee making facilities. 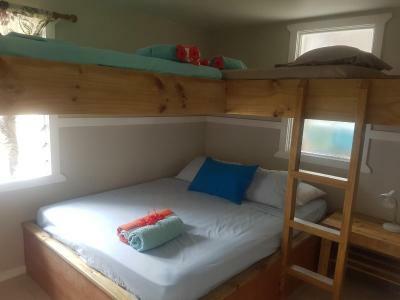 This bungalow loft features an open plan bedroom upstairs, and a living area on the ground floor. It offers a terrace with sea views. 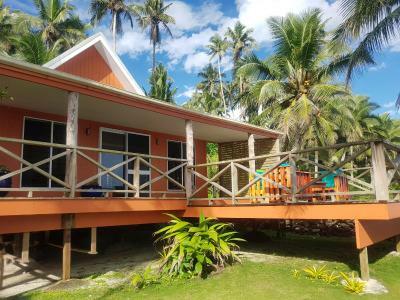 This beachfront bungalow offers a terrace with sea views. 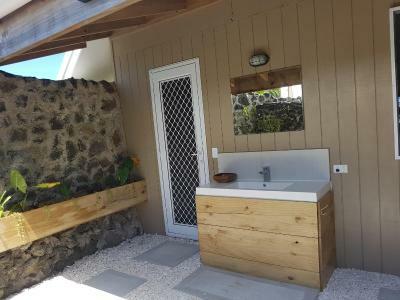 The lava rock outdoor bathroom includes a shower. There is a refrigerator and tea and coffee making facilities. 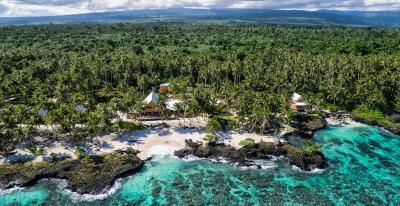 This private bungalow features a large private terrace and an outdoor lava rock bathroom with a shower. It also includes and private bathroom and private beach access. 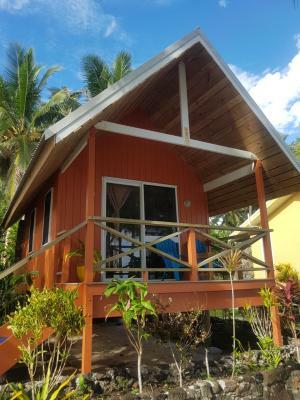 House Rules Sa'Moana Beach Bungalows takes special requests – add in the next step! 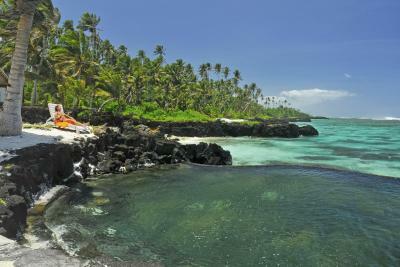 Sa&#39;Moana Beach Bungalows accepts these cards and reserves the right to temporarily hold an amount prior to arrival. 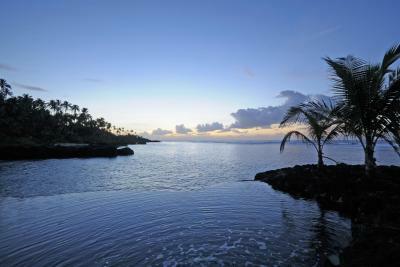 Sa'Moana Beach Bungalows accepts these cards and reserves the right to temporarily hold an amount prior to arrival. 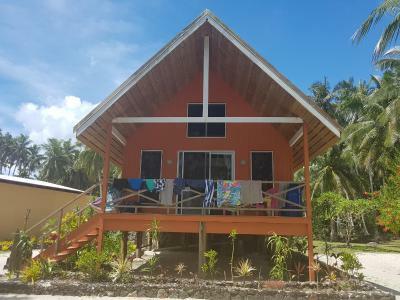 Please note that you will pay the property in the local currency, Samoan Tala (WST). The displayed amount in any other currency is indicative only and based on today’s exchange rate. There may be a difference in the room rate if you pay in local currency or by credit card (due to currency exchange rates). 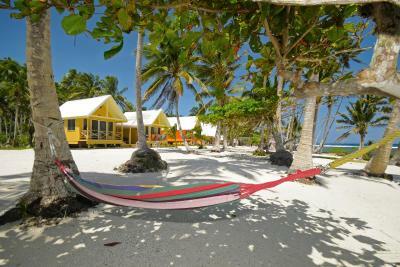 Please note this property does not accept payment with American Express credit cards. Transfers are available to and from Faleolo International Airport for an additional charge. Please inform Sa'Moana Resort in advance if you want to use this service, using the contact details found on the booking confirmation. Please note car hire is viewed as essential and a 4 wheel drive is highly recommended to navigate the road to the resort. Please note WiFi is available on hotspot only and the hotel recommends picking up a Sim card at the airport kiosk on arrival to get data coverage on the South Coast. Please inform Sa'Moana Beach Bungalows of your expected arrival time in advance. You can use the Special Requests box when booking, or contact the property directly using the contact details in your confirmation. Beautiful spot to begin our honeymoon, lovely rooms, a quiet and peaceful setting. The reception room (also acts as a breakfast room, library, pool room, and bar) is a bad first impression as it’s very dingy, and we had to wait for a while for a receptionist to appear while wearing heavy backpacks on our backs, despite her seeing us enter the building. In fact, the staff in general were lacking and really brought down the feel of the place. None of them seemed to know how things worked and would always have to ask multiple other people before answering a simple question. On our last night we wanted to pay our tab but were told be had to wait till the next day, when the only person that could take payments was there. When the next day arrived someone interrupted us in the middle of our breakfast to tell us we had to pay then because the payment lady had to go out and was waiting for us. On the second day of our stay I was beckoned by one of the cleaners and told she couldn’t clean our room that day because she was too busy. These things are all forgivable - I’m not a complete snob - but taken in the context of what is apparently a 4 star accommodation for which we were paying nearly £90 a night, I really think they could have pulled their fingers out. Every interaction felt like a chore, and that’s not the way it should be when you’re in a relatively nice resort. There was just no atmosphere of service. My only gripe was there was no kitchen sink in our family loft and no aircon. We had to request additional fans for the bedrooms and the staff were only too willing to accommodate. 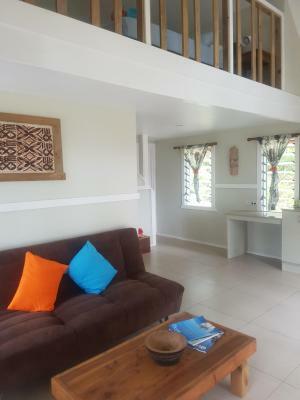 In our short time in Samoa we stayed in 4 different motels/resorts and what I could see is all lacked the joys of a handyman on site, to fix the smallest thing to make life easier on the holidaymakers. My partner is a carpentar and would have very happily fixed what he saw wrong, small easy fixes which should be picked up by all managers as we are paying good money to stay there. In our family loft the screen door was very difficult to open and close this should not have been left for people to stay in until fixed. The road to the hotel is in bad conditions. The price of the meals are a little bit expensive. No wifi available, but actually a nicety to remove from it all for a change. 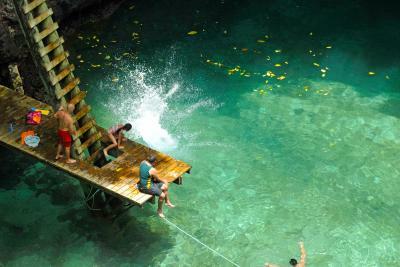 No air-conditioning, but not that common throughout Samoa anyway. Location and staff. Great food as well. PERFECT!!! THANK YOU FOR AN AMAZING STAY!!! Perfect location, perfect staff, thank you for this beautiful moment...!!! *The bed was a little small For two people as it’s a double . Highly recommend replacing it as felt it was aged. *Suggest safe lighting to be installed along side path to bungalow to allow better vision. * more variety with included breakfast & add new items every couple of days . 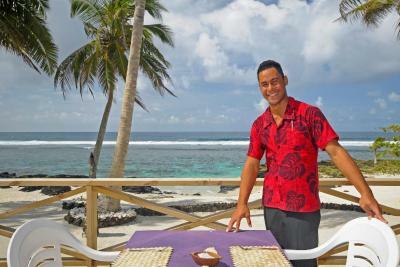 * lower prices in food drinks menu & have a couple of traditional Samoan dishes in it. * road to resort isn’t sealed (rocky with pot holes) takes about 20min to drive 6km. Having a rental car is the best option . 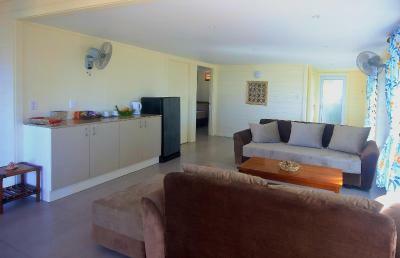 The bungalow was beautiful clean & close to the ocean . The outdoor shower was an excellent experience. The plunge salt pool was lovely . Food at restaurant was tasty & presentation was super. All day Complimentary filtered water ,tea coffee was great & wonderful that the owners are protective of the island environment to avoid selling plastic bottles & using paper straws for drinks. On the 25th of October I ask to the manager in person about to do an early check out at the 26th becouse some problems that i had with the staff. He said that was possible to do the refund of the 4 night that was remaining becouse of the problems that i has with the staff,but hi don't know how to do it throught the Booking.com. On the 26th when i went to do the check out the manager said that only the owner has the pasword for do the refund in Booking.com and the owner wasnt availavle. So he told me that he will deduct the amount of those nights from my meals bills. So i ask him to give me a receipt of that with his signature on it. And he also said that he will give me a answer about the 181WST that they still owns me becouse my meals was below the amounts of the 4 nights remaining. But after i did the check out, the same day, without any advise they make a charge on my credit card for the same amounts of my meals. 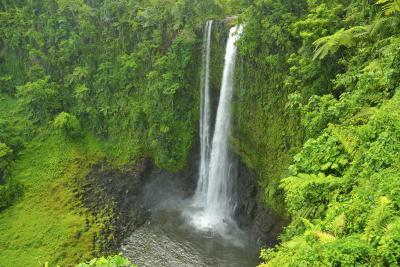 I release about the charge the 1th Novembre when i was out of Samoa. That this place is for sale and i hope the new owner Will be a honest person. And not the thieve that i meet. A 4WD is recommended but not absolute necessary for the road to this hotel. You are sent a very informative email detailing how to get here and the hotel prepares you well for any difficulties you might face. Lovely staff, homely touches to the rooms, and generous meals. 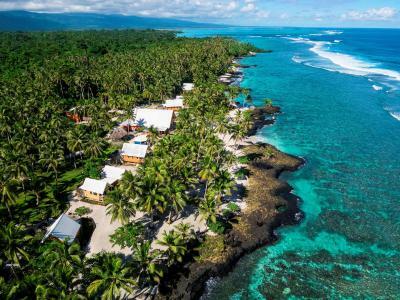 Free kayaks and paddleboards for guest use, and only a 10 minute walk from secluded and pristine beaches where 'Survivor Samoa' was filmed. 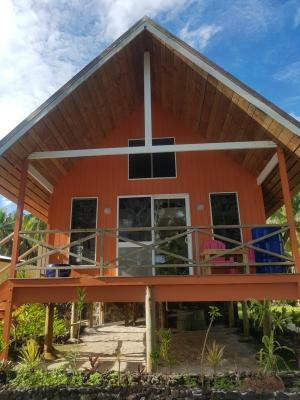 You won't regret booking this place, it was an absolute highlight for our trip and supersedes a lot of the accommodation you will find in Samoa.